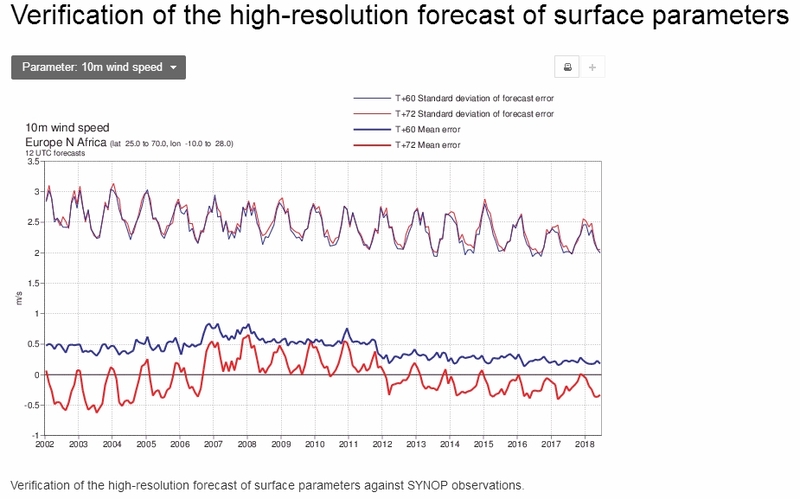 The geographical extent of the global surface monsoons (the figure above) can be outlined by the normalized seasonality (Li and Zeng, 2000, 2003, 2005). 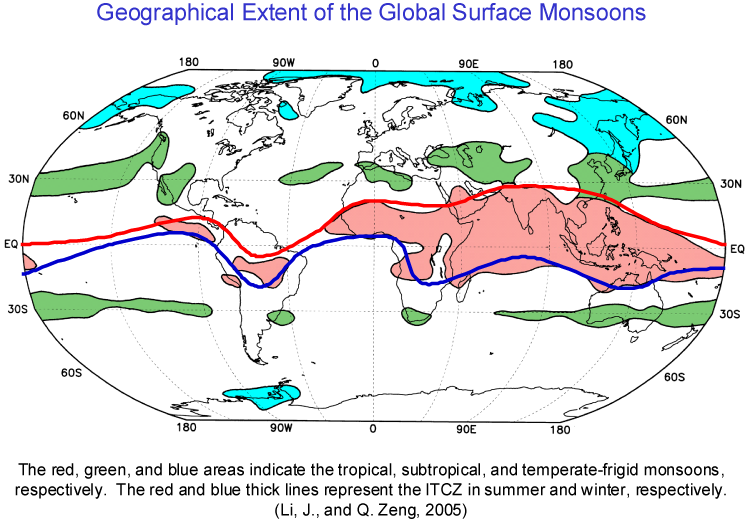 The global surface monsoons contains three kinds of monsoons: the tropical, subtropical, and temperate-frigid monsoons, respectively. 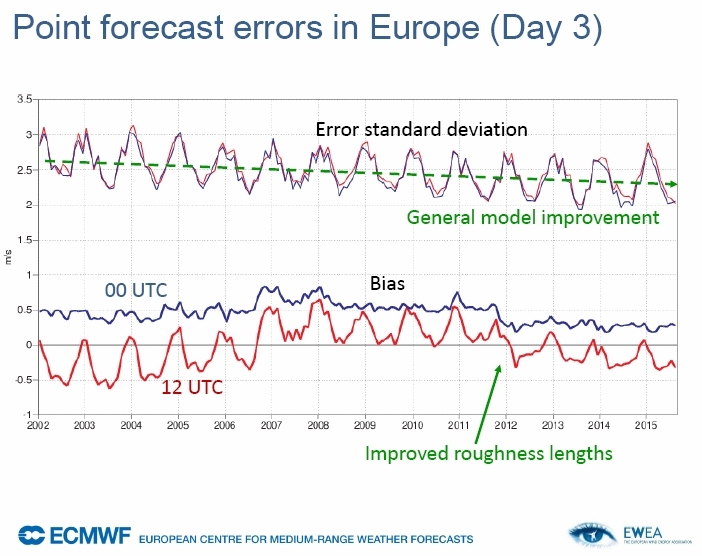 The extent of the classical tropical monsoons is surrounded by the positions of the Intertropical Convergence Zone (ITCZ) in summer and winter, which is the result of the two driving forcings of the tropical monsoon, the seasonal variation of the planetary thermal convection and the seasonal variation of the semi-permanent planetary waves due to the thermal contrast between ocean and continent (Zeng and Li, 2002; Li and Zeng, 2005). 叶林,赵永宁.基于空间相关性的风电功率预测研究综述[J]. 电力系统自动化, 2014, 38(14): 126-135. DOI: 10.7500/AEPS20130911004. 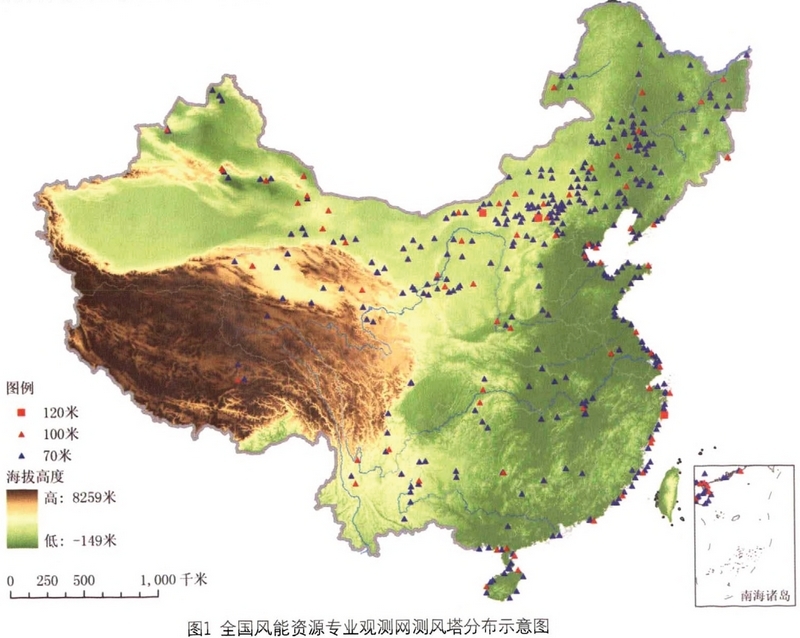 YE Lin,ZHAO Yongning.A Review on Wind Power Prediction Based on Spatial Correlation Approach[J].Automation of Electric Power Systems,2014,38(14):126-135. DOI: 10.7500/AEPS20130911004. 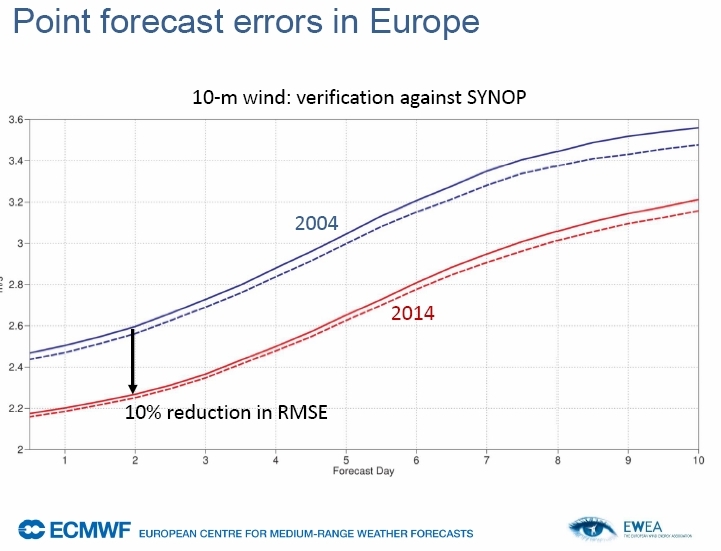 Jung J, Broadwater R P. Current status and future advances for wind speed and power forecasting[J]. Renewable and Sustainable Energy Reviews, 2014, (31): 762-777. 杨茂, 杨琼琼. 风电机组风速功率特性曲线建模研究综述[J]. 电力自动化设备，2018, 38(2): 34-43. Hagspiel S, Papaemannouil A, Schmid M, et al. 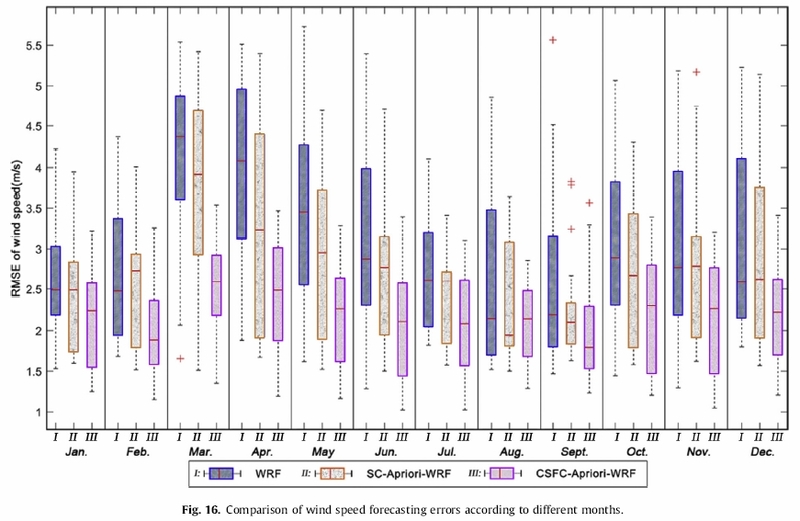 Copula-based modeling of stochastic wind power in Europe and implications for the Swiss power grid[J]. Applied Energy, 2012, 96: 33-44.